Meet your neighbor Robert Clifton. He is the son of Rene and Naomi Clifton and was raised in Mt. Pleasant, Iowa with his brother, Richard and two sisters, Kay and Nancy. Growing up, Clifton's parents owned and operated a small chain of grocery and meat markets in several different towns. He and his siblings were encouraged to only do their best, and that "hard work and effort was reward in itself." Clifton says, "We were instilled with the concept that this was the greatest country on the face of the earth and were taught that we had an obligation to pay back to our community and I know that my mother and my father would be very proud of what, through their inspiration, we have done." Clifton graduated from Dallas City Community High School in 1959 and attended Western Illinois University for a Bachelor's degree in Science and also attended Northwest Missouri for a Master's degree in Education, and Western for a Specialist in Education. Clifton is now married to his wife, Cathy, and they have one daughter who is working on obtaining her Master's degree in Social Work at St. Ambrose in Davenport, Iowa. Clifton is currently retired. 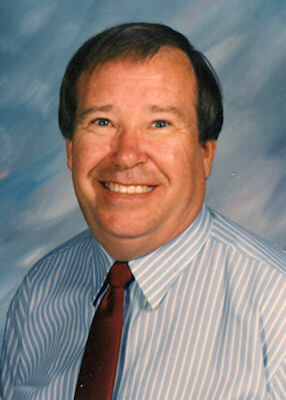 He has previously been a Junior Teacher and Coach, an Elementary and Junior High Principal, and a Superintendent. He has worked in Catholic Education for close to ten years and was on staff at St. Ambrose for two years in the Special Education Department. He is a member of the Sacred Heart Catholic Church where he serves on the finance council. He and his wife have taught CCD programs for many years. He works with a group called the Dallas City Fryers, who travels around West Central Illinois frying chicken and fish for non-profit groups fund raisers. Clifton states "I consider myself to be a life-long Conservative and most of the time a Republican. As important as most of the above, I was a teacher, and I consider that part of my life as important as my religion and my country." Clifton's hobbies include, duck hunting, playing golf, and watching high school athletic teams including the Illini West Chargers, football, basketball, track, and wrestling. Sadly, Clifton has had many of his former student tragically die and has attended their funerals, "I pray for them nearly each night and I wonder if there was something that I could have done to have made their lives more tolerable, or to have made their lives more enriched." Clifton often looks back on his teaching days, "I call every one of my former students friend, even through I no longer remember each of their names. My heart literally glows from the inside when one of them offers me a greeting and a smile. I have been blessed with each and every one of them and I thank God that I have had the chance to know them all. Since I have started in school in 1963, my first classroom, the kids in that classroom have not changed, they are still good kids, they are still our only future and we must all and always remember that we were all kids once and we all made kid mistakes."